Sea spiders (pycnogonids) are one of the most extraordinary animals to inhabit the sea. They may not be real spiders, but they are far more interesting. As one prominent taxonomist once observed, if you wanted to design a creature from outer space you would do well to choose a sea spider as your model! 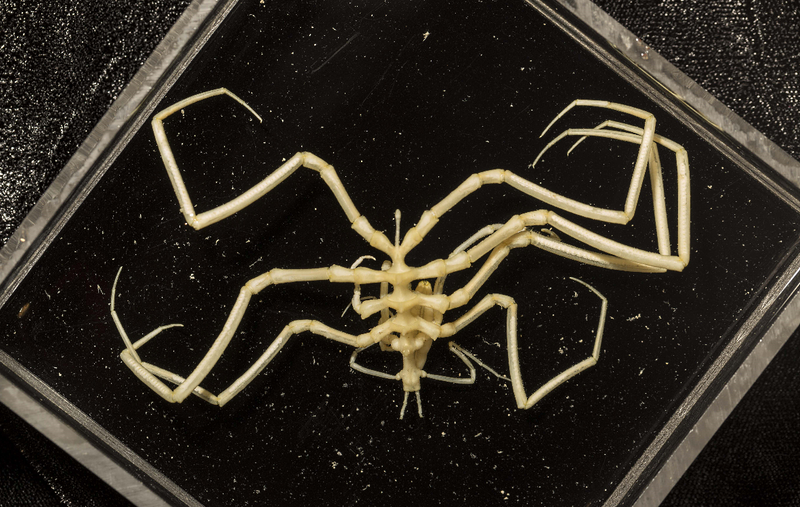 Superficially, a sea spider appears to be little more than a collection of drinking straws. There are no specific organs for respiration or digestion: respiration is by gaseous exchange through the cuticle wall, digestion is intracellular, and blood circulation is primarily activated by movement or pumping of the legs. They are little more than a tube within a tube. You may well ponder, are they in fact alive? Most pycnogonids have four eyes, but a few have eight. In the deep-sea, many species have only two and some deep-sea species are blind. Several of the latter forms have been collected on this trip. With their long, gangly legs these animals bear a striking resemblance to land spiders and it is little wonder that early naturalists classified pycnogonids in the same genus as shepherd spiders or ‘daddy-longlegs’. The name ‘sea spider’ is a later introduction that is in common use today. Fossil evidence extending from about 425 million years ago suggests that the sea spiders are among the oldest surviving Arthropods to inhabit the earth. The key to their longevity possibly lies with their morphological simplicity and apparent absence of predators. Classification within the group is based on the presence, absence or degree of development of several appendages. Extraordinarily, the Pycnogonida includes forms with eight, 10 and 12 legs that span a few millimeters to 75 cm. Members of the genus Colossendeis are the giants of the pycnogonid world. These have been caught on our voyage, and one found on a recent Great Australian Bight voyage had a span of 60 cm. In 1830, American naturalist James Eights returned from the South Shetlands with the first 10-legged specimen which he described as Decolopoda australis. 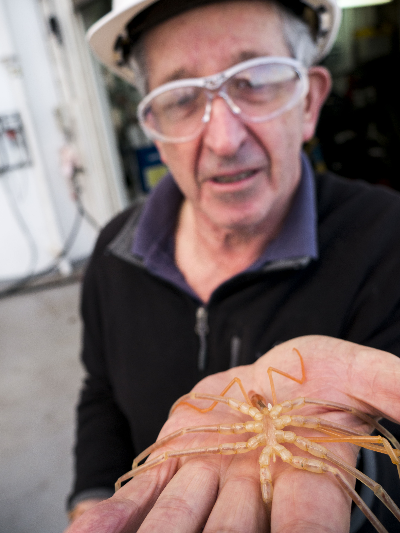 Six more 10-legged sea-spider species have since been recorded. Imagine the interest when explorer Douglas Mawson returned from the British, Australian and New Zealand Antarctic Research Expedition 1929-1931 with a 12-legged specimen. Two 12-legged Antarctic species are now described, including Dodecolopoda mawsoni. The male pycnogonid carries the eggs, although species of Colossendeis have never been recorded carrying eggs. Like all Arthropods, they need to moult to grow and lost limbs are regenerated with subsequent moults. Most pycnogonids recovered on this trip are capable swimmers and are found worldwide. By treading water rapidly they can lift into the water column where they are carried spread-eagled by deep-sea currents possibly over vast distances with little further effort. Two genera live among the sand grains or in the sediments with records of specimens burrowing to a depth of 80 cm. At some stage of their life cycle pycnogonids commonly parasitise a soft-bodied host. It is a complete mystery as to what role sea spiders play in the larger scheme of things and we can only contemplate Aristotle’s words: “nature does nothing that lacks purpose”. 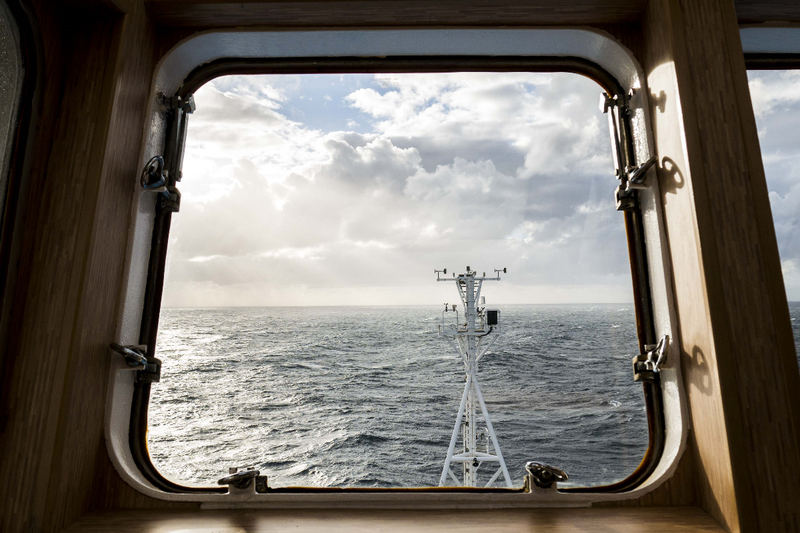 Today's view through the square window, by onboard communicator Asher Flatt . . . I rose early this morning to catch a beautiful sunrise. We are working off the coast of Bermagui. 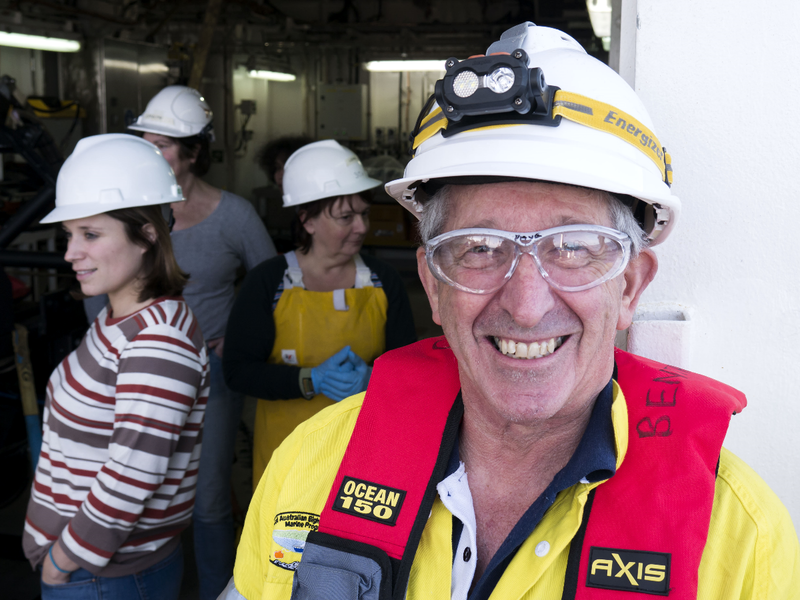 One beam trawl was completed early this morning, and another one was sent down at midday to about 2500 metres. This one came up full of mud and everyone spent the whole afternoon sorting through it all! I'm glad I only had to take photos. Later the Brenke sled and the box corer were deployed.